Fullerton CPR Classes: These classes are discounted AHA CPR Healthcare BLS AED, Heartsaver CPR & First Aid classes taught by Cal State Fullerton students who has been trained by CPR Hero under the AHA Instructor Training standards. All instructors has gone through the proper training and practices to earn his/her instructor certification and classes are taught according to AHA standard and guidelines. All students will receive AHA certification the follow business days. Special note: This class is not affiliated nor taught by Cal State Fullerton. All are welcome to sign up and take the class. Please sign up now as no walk-ins nor payment can be accepted in class. The class is held by a student group on campus and taught by instructor certified undergraduate students. CPR Hero does not operate on campus: instructors are not paid nor contracted by CPR Hero. Classroom Parking: Parking for CPR classes for this college is available throughout the different parts of campus. Please expect to pay for parking on campus and allocate enough time to walk to the classroom location. We have a strict tardy policy! Everyone else should take regular, lay-person, Heartsaver CPR. (Baby sitters, day cares, lifeguards, camp counselor, teachers, etc). How does Online AHA CPR course works? The AHA online course allows students to study all the knowledge part before hand at student’s own leisure and pace. Once the student has completed the online class portion, student will sign up for a skills practice and exam session that last about 30 minutes (can be longer if instructor feels student needs more practice). Select “Online Hybrid” option. You Can Become an Instructor Too! 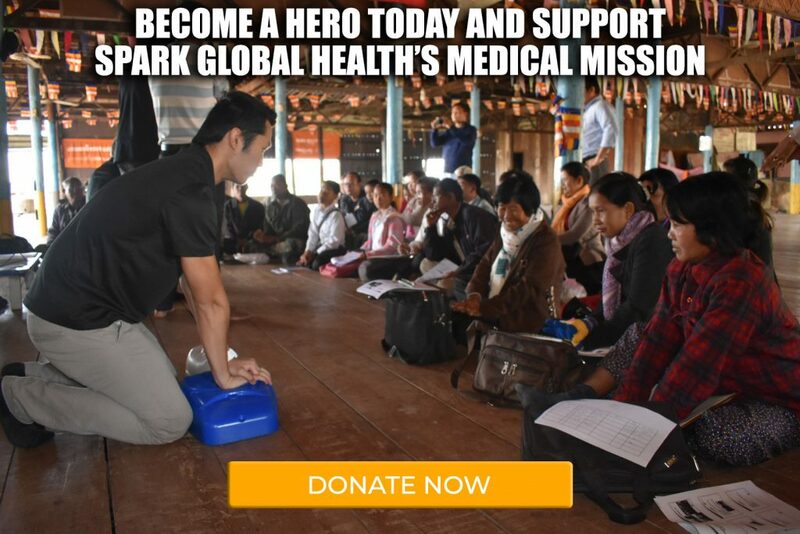 Gain public speaking skills, learn more on pre-hospital science, boost your resume, and gain experience while making a difference. Find out more here!